Brazil - Victor is just like an ordinary boy who wants to play and they say he really loves soccer. In January 2015, he began to feel a terrible back pain, Doctors diagnosed that he has a Tumor pressing on his spine. The tumor began to spread through his body and the saddest part is he wasn't given much time to live. He was unhappy that he can't do things an adult can and have just like having a tattoo. When a friend of his dad heard the news and knows what Victor wants. 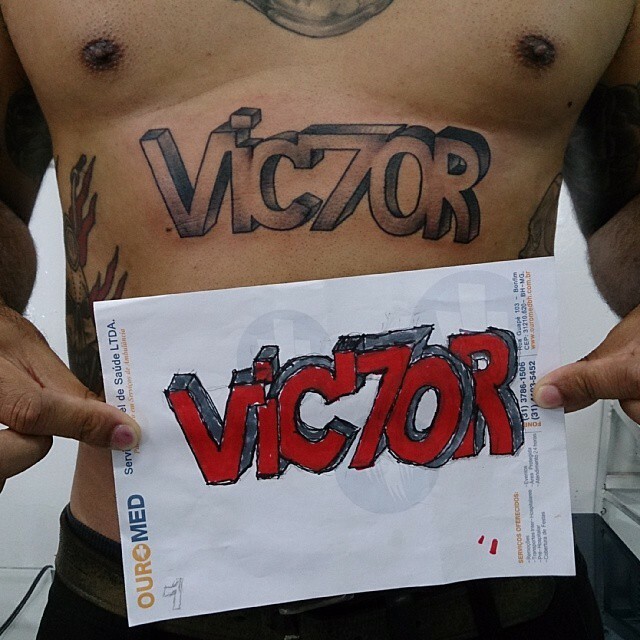 He wanted to satisfy Victor's wish in getting a tattoo. 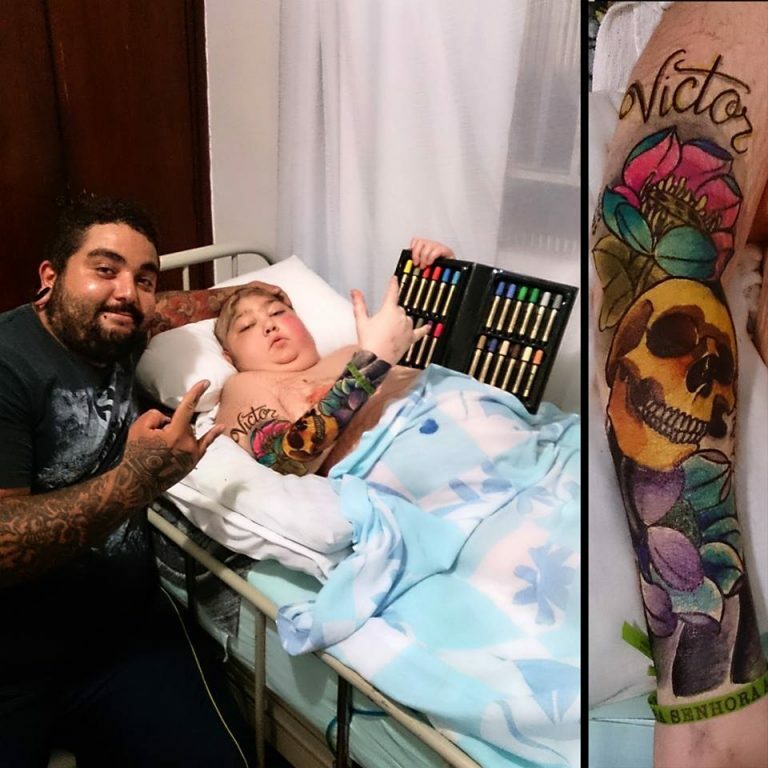 He came to the hospitals with colorful markers and gave Victor an amazing personalized tattoo. Alcide Correa friend of Victor's father said that he promised to come back again, but Victor passed away days later. But his memories lives on the tattoo that Alcide gave to Victor's father.